Louis Dreyfus Company is a leading merchant and processor of agricultural goods, leveraging its global reach and extensive asset network to deliver safely, responsibly, and reliably for its customers around the world. 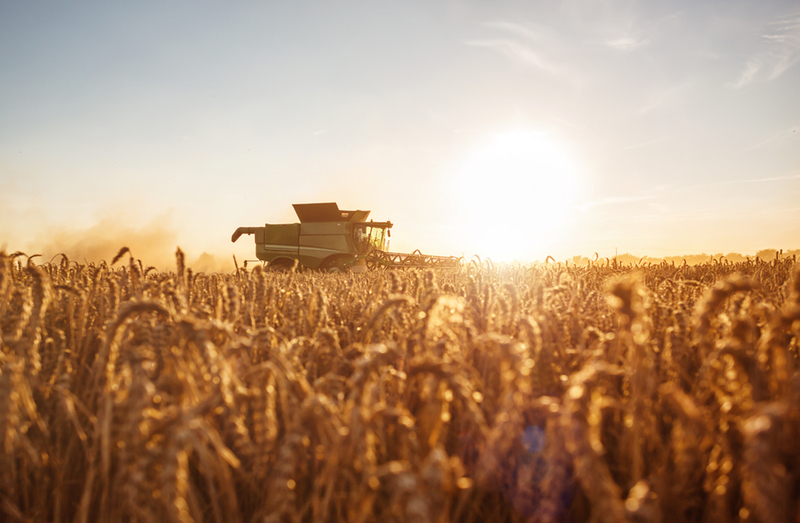 As one of the world’s oldest and largest commodity firms, LDC helps to feed and clothe 500 million people, originating, processing and transporting approximately 81 million tons of commodities around the world each year. The agriculture industry is faced with an enormous challenge. To meet the needs of feeding a rapidly growing global population, the industry has embraced what’s known as ‘smart farming’—improving quality and efficiency with the aid of technology. LDC sought to elevate the quality and value of its relationship with farmers who are increasingly utilizing technology to farm smarter. This meant creating a multi-touchpoint, cross-platform digital application to share transactional information with the customer and, in the future, create additional value-added services. 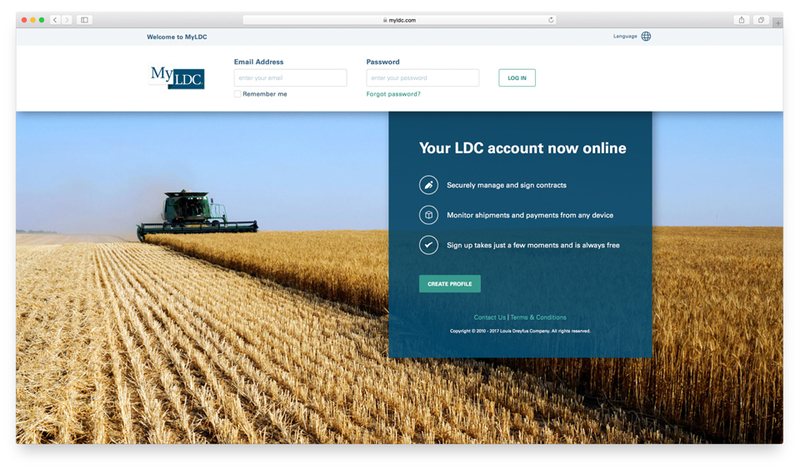 Creating LDC’s new portal required a consolidation of several older systems, as there was no single source for clients to access their transaction information. This often resulted in unsigned contract agreements and potential discrepancies between contract balances and settlements. The company sought to create a global, multilingual customer engagement platform that would combine its 12 transacted commodities across six regions. LDC wanted this platform to include self-service options that would allow its customers to better manage their relationship with the company, while reducing the administrative overhead. After conducting a lean requirements workshop, Devbridge quickly produced a clickable prototype to internally validate the solution. Next, a pilot version of MyLDC, the resulting web portal and mobile applications, were launched to market in five months. The pilot was tested with a single region and a selected commodity, confirming key assumptions about improved engagement, lowered administrative overhead, and reduced contract turnaround time. MyLDC needed to offer farmers a way to manage invoices, payments, contracts, and signatures digitally. 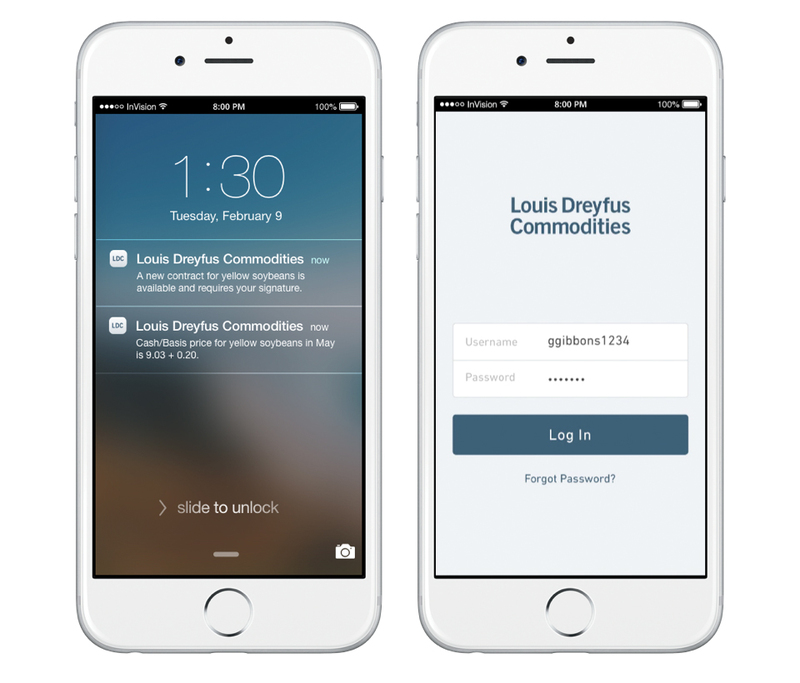 Building these features required integration with DocuSign, an electronic signature provider, and DTN, a commodities information provider. Devbridge was able to work with both teams to seamlessly integrate both technologies into a new custom software solution that made transactions easier for MyLDC users. Launched last year in North America, MyLDC is a digital cross-platform touchpoint that connects LDC to its customers in a better and easier way than ever before. MyLDC modernizes how farmers buy and track the commodities they need to plant, maintain, and harvest their fields. The tool drastically accelerates transactions, allowing farmers and LDC to manage their relationship faster, in a visible and transparent way from any device. The tool is also a pro-active communication platform for LDC. MyLDC features push notifications on mobile, which inform farmers when contracts need to be signed, transactions approved, invoices due, and more. This two-way communication gives LDC a broader view of its clients’ engagement. Customer Android and iOS mobile applications: Cross-platform Cordova applications for customers to engage LDC in the field, sign contracts, view transactions, send messages, and more. Customer web portal: Responsive web application with similar features. Administrative portal: Administrative web interface for LDC employees to interact with their customers. Web services and messaging: A service-based architecture to aggregate, schedule, and shuttle data between the three end-point applications and systems of record. Perhaps the most exciting aspect of MyLDC is that it’s only beginning to show its full value, both to LDC and its customers. LDC is working to expand the web portal’s usage around the world, leveraging MyLDC as the transaction model of the future. Forthcoming features could help farmers receive relevant information customized to their business, such as climate and market predictions. A smart-farm revolution isn’t years away. It’s here. MyLDC is an example of how technology can provide value to an age-old industry rapidly, with continuous improvement at a constantly diminishing cost.